Help shape the next chapter of Canada's most iconic brand. 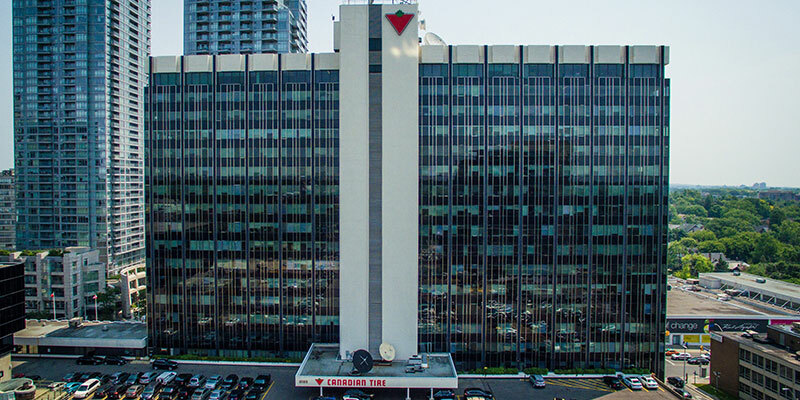 The Canadian Tire family of companies is focused on developing young talent, offering a diverse range of entry level roles and highly innovative new graduate programs & co-op rotations. We hire over 200 students annually to work in departments across the organization - spread out across the entire country - offering them the opportunity to see our company from every angle and a variety of perspectives. Explore current co-op student opportunities. Recent or new graduate? Learn more about the entry level roles we have across our organization and our specialized rotational programs in Finance, Technology and Marketing – where you will gain broad foundational knowledge at an accelerated pace. Check back in Fall 2018 for new graduate postings, but click here to see all current openings at Canadian Tire Corporation. Canadian Tire’s Forecasting Analysts have the opportunity to work with a category business team (and other groups) at Canadian Tire, ensuring the forecasted demand results in optimal inventory levels at our Distribution Centres and stores. Forecasting is integral Canadian Tire’s success due to the critical impact of its outcomes on both customer satisfaction and our business’s bottom line. This new graduate program will provide you with broad merchandising experience and set you up to be a key player in our future success. Candidates admitted into Canadian Tire’s Replenishment Analysts will hit the ground running on a team set-out to develop process improvements to better manage one of the country’s deepest and most extensive supply chain networks. Working closely with several groups within Canadian Tire, you’ll be part of a team that plays an integral role in ensuring the timely flow of goods from our suppliers to our distribution centres and out to our stores - decision-making that has a direct impact on millions of dollars in inventory within their categories. Category Business Analysts play a major role in leading the evolution of retail within our company. This innovative new graduate role will equip those selected to always stay on top of the ever-evolving expectations and needs of our Canadian Tire customers from coast-to-coast. Working with teams across the organization, you will be part of a team that inspires the Canadian Tire customer experience through your passion for continually improving our product lines and creating compelling, relevant assortments for our stores that both strengthen the brand with our customers while also meeting internal financial goals. Our Consumer Brands team is a great example of our retail evolution, bringing together all the owned brands from across our family of companies. As a Brand Consultant you will support the development and execution of annual brand plans, including shared growth and financial targets designed to build equity and strengthen the brands’ financial contributions. Working with teams across the organization, you will be part of driving one of the largest, and growing, owned brand portfolios in Canada. As a Financial Analyst you are a key contributor to the team, providing actionable analytical support and business insight. Your work will help stakeholders understand the financial impacts, risks and benefits, of potential decisions and business performance metrics. Your insights add value and result in fact based decision making. As a Data Analyst, you will support the design and delivery of strategic and operational reporting for Senior Management and assist with the identification, analysis and evaluation of improvement opportunities to support our growth and productivity. Embedded in all areas of the business, you will provide insights that add value – helping the business understand what happened, why it happened and what can be done to influence what will happen. As a Marketing Pricing Specialist you are responsible for the maintenance and management of product cost and price information. You will provide Category Management teams with the specialized knowledge of cost and price process guidelines and policies (including legal) that is required to run the business; ensuring that category strategies are implemented successfully and efficiently. As a Service Desk Analyst you act as the single point of contact for your colleagues regarding questions, incident reports and service requests. You will harness the power of fast problem solving to diagnose and resolve issues; helping to keep the organization running as effectively as possible. As a Technical Specialist, you’ll have the opportunity to broaden and strengthen your technological expertise by gaining valuable exposure and experience while working in some of the different IT areas including programming, infrastructure, architecture and security. In your role you’ll participate and contribute to improved business decisions by providing technical solutions to complex, real-life issues. As a Security Specialist you are part of a fast-paced team responsible for defending the organizations technology infrastructure and web assets against a complex cyber threat environment. Working independently and as part of a large Technology Security team, this position collaborates with both IT and business areas to ensure that we are best-in-class when it comes to information security governance and compliance. As a Project Coordinator in our IT department you’ll have the opportunity to combine and broaden your business and technology skills. You’ll partner with your team to develop and validate project plans, schedules, procedures, documentations and tools; supporting the rollout of new technologies across our family of companies. Canadian Tire’s Next Generation Talent (NGT) Program is a 2-year rotational program that is comprised of three 8-month rotations in areas such as; Digital, Automation, Cloud, Networking, Cyber Security and Big Data. The NGT program provides a unique opportunity for new graduates to develop broad retail expertise combined with a thorough understanding of core technological principles. You will learn how to harness the power of emerging technologies to drive tangible business results in digital innovation and find innovative solutions to work smarter and connect more cohesively with current and future customers. Over the course of the NGT program, graduates will be placed at the forefront of Canadian Tire’s digital evolution, positioning them as our next generation of technologists. Connect with us on campus this fall. Grow your career with us by applying for a coveted position in Canadian Tire’s Emerging Marketers Leadership Development Program. This 2-year rotational program is comprised of three 8-month rotations in areas such as; Strategic Marketing, Brand Strategy, Promo Planning, Digital Marketing, Digital Content, Social Media, Loyalty & Consumer Insights. Our dynamic, cross-functional rotational program will give new graduates broad expertise and exposure to our marketing organization by working closely with our merchandising teams to help bring to life the latest marketing campaign. Apply now to accelerate your career! This program provides new graduates with the opportunity to strengthen your financial acumen while also developing a more comprehensive understanding of our complex business. 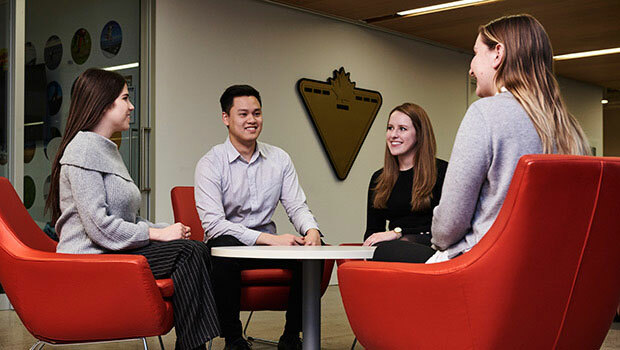 The Finance Associate Analyst (FAA) program is a 2-year rotational program comprised of three 8-month rotations in areas such as; Financial Planning & Analysis, Accounting, Advisory, Reporting, Controls, Treasury and Internal Audit. A new graduate in the FAA program could be involved in projects that include conducting cost-benefit analysis, developing and maintaining financial reporting, working cross-functionally to develop financial plans and re-forecast month-end and quarter-end reporting or risk assessment activities. The FAA program has recently been approved as a CPA training program, and is designed to help us build the next generation of financial leaders. Help us shape the future of retail in Canada at the Canadian Tire family of companies. Co-op students and new graduates will develop real-world skills and gain valuable work experience, all while being exposed to limitless career opportunities. Situated in the heart of Toronto, Canada’s business capital, our home office consists of over 2,400 dedicated employees with a shared goal: to service our customers' needs in a way no other retailer can. We also have corporate offices in: Vancouver, Calgary, Welland, Oakville and Montreal.